Situated at an altitude of 160m., with a distance of 14 km. On the road going north from Vathy, lies the quaint village of Lefki. 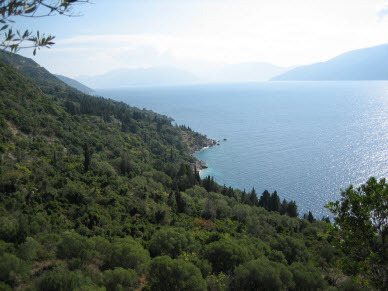 Built on the west slope of the mountain Neritos, there is an extensive view of the opposite island of Cefallonia and the channel between the two islands. 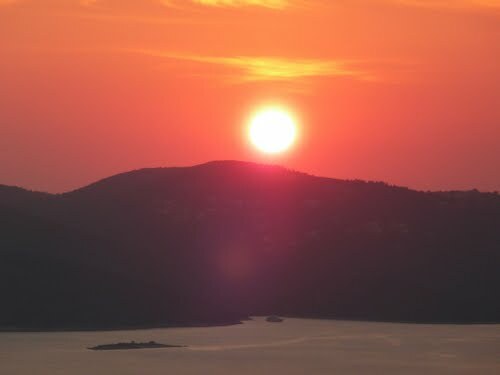 Lefki was inhabited in the 16th. Century, when a group of people moved there from the village of Anoghi, to cultivate the fertile land, and be near the sea but safe from the pirates who still controlled the channel. 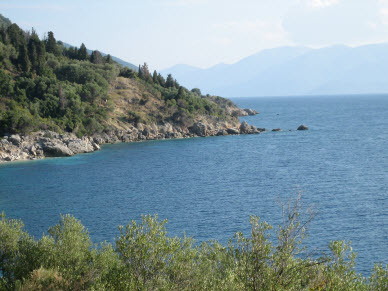 Although Lefki lies very close to Stavros, the main village of northern Ithaca, it flourished in population and business. The first years of this century, there was more than 40 people residing in over 100 houses, a primary school was functioning and numerous businesses of commerce and trade prospered. With the population declining over the years, due to many people immigrating to other countries, today only 70 people live in the village with cultivation being their main activity. 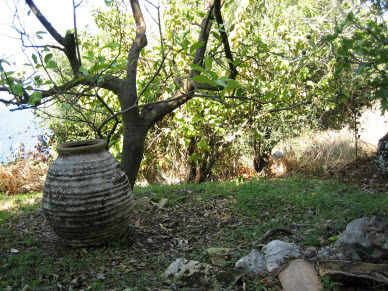 Komninos, Paxinos, and Couvalias are prominent family names of the village (although not exclusive to Lefki). 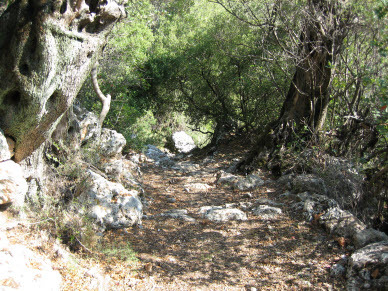 Because of its important geographical position, during the occupation of the Axis Forces, Lefki was used by the National Resistance as a centre for transportation of fighters and guns. The earthquake of 1953 ruined all the buildings of the village. Rebuilding was started at once with financial aid sent from relatives who emigrated and from England which had officially adopted Lefki. At the foot of the village there are paths that lead down to several beaches which are all excellent for swimming, are filled with trees and have wells with clean water. The way down to these beaches is a very pleasant and easy walk.